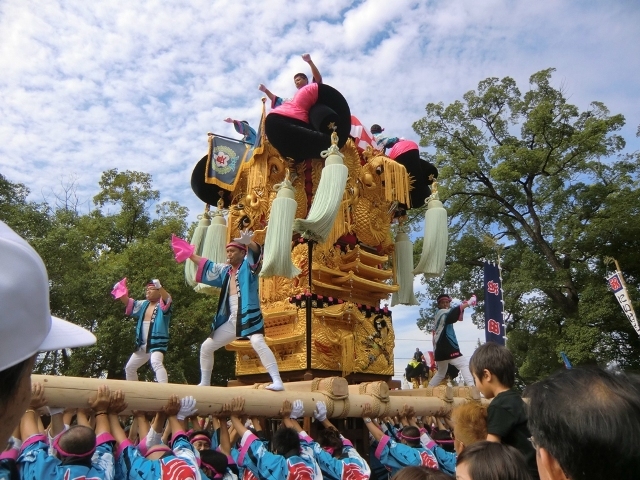 The most clairvoyant among you would have understood this since yesterday, today, I’m going to talk about a Matsuri, but not just any Matsuri, this post is devoted to the Niihama Taiko Matsuri! 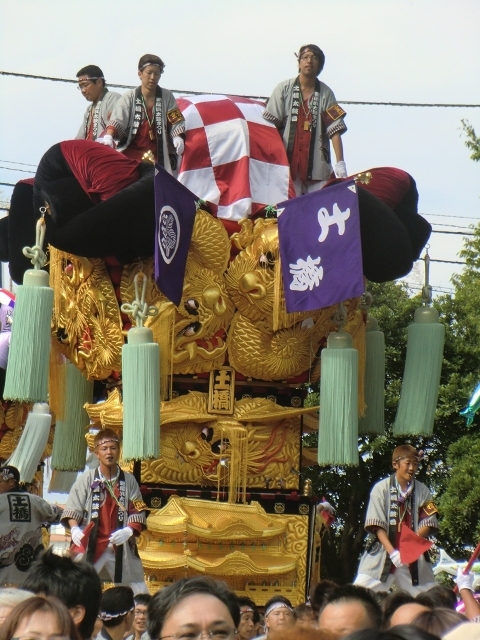 Well, it’s a Matsuri, it takes place in the city of Niihama in the Ehime Prefecture. 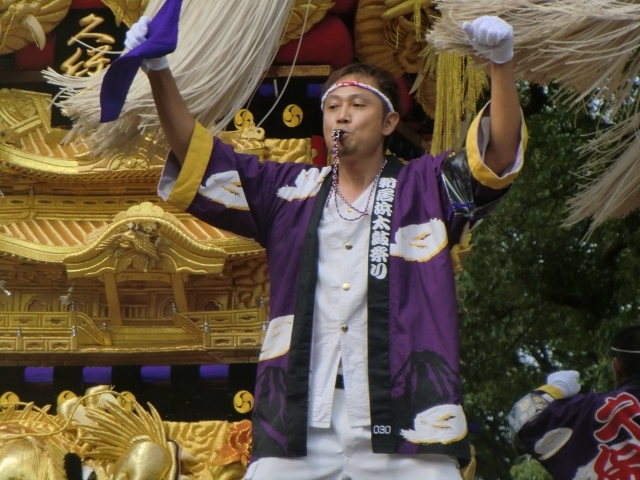 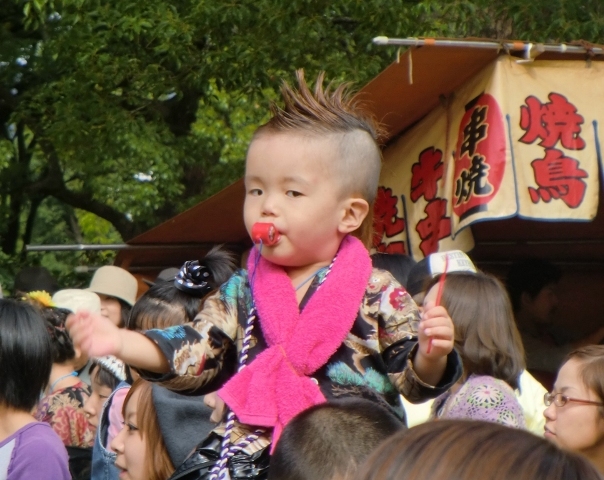 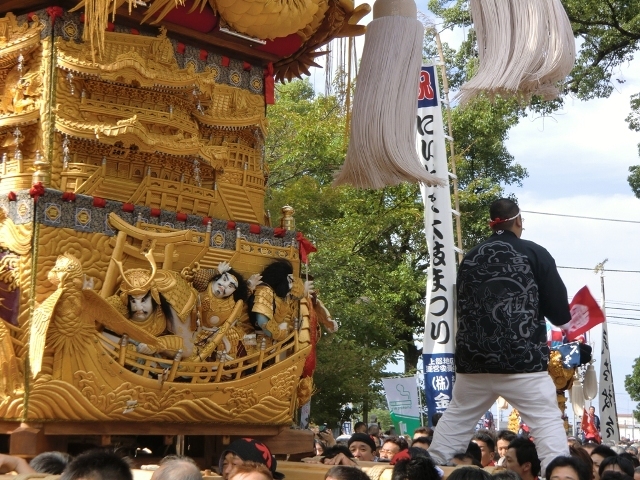 It takes place every year, October 16-18 and it is also known under the name of Otoko Matsuri (The Men Festival). 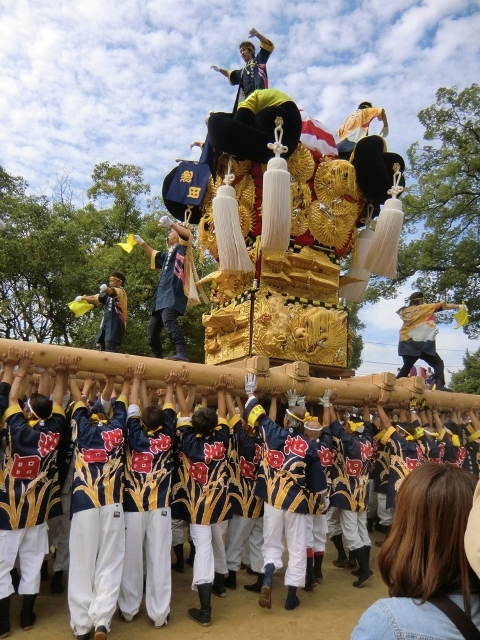 I’d life my female readership to excuse me for this blatant and apparent sexism, but one needs to be a man and have a lot of muscles (more than I have) to become a Kakifu, that is a Taikodai carrier, those giant “drum-floats” that are paraded all over town during the Matsuri. 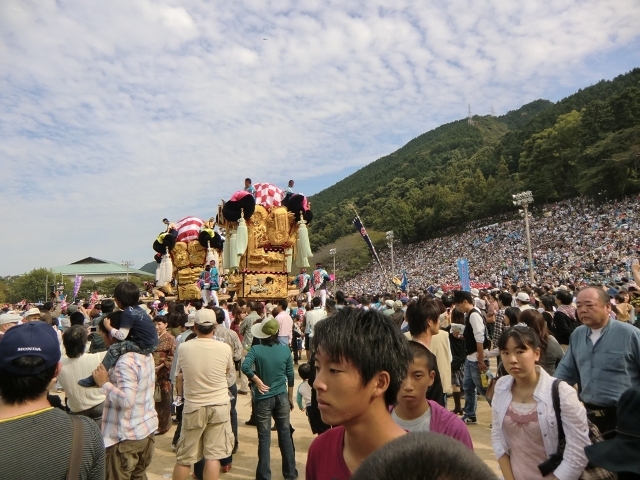 The arrival of the first Taikodai of that group. 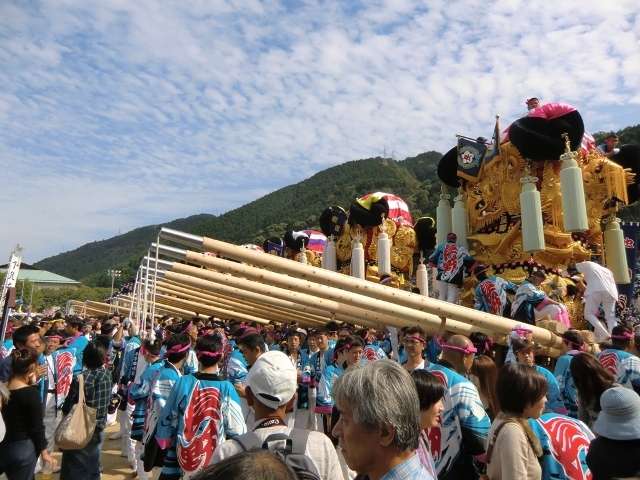 The festival dates from about 300 years ago, during the Edo Period and those are about 50 Taikodai that are paraded all over the town of Niihama during these three days. 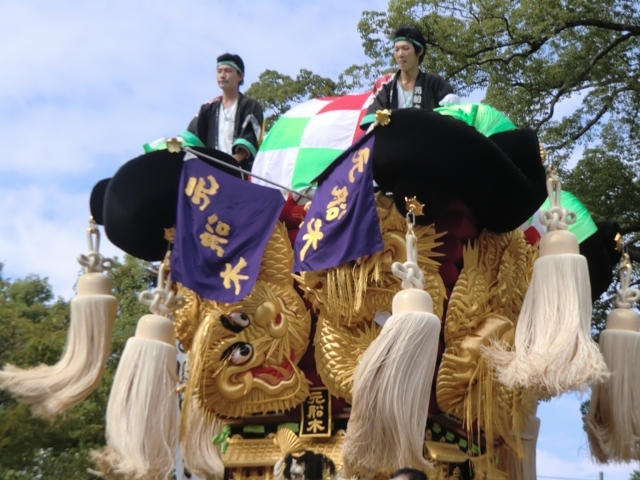 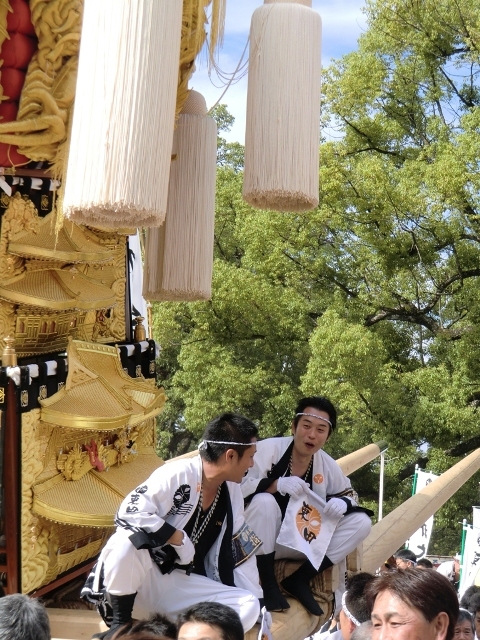 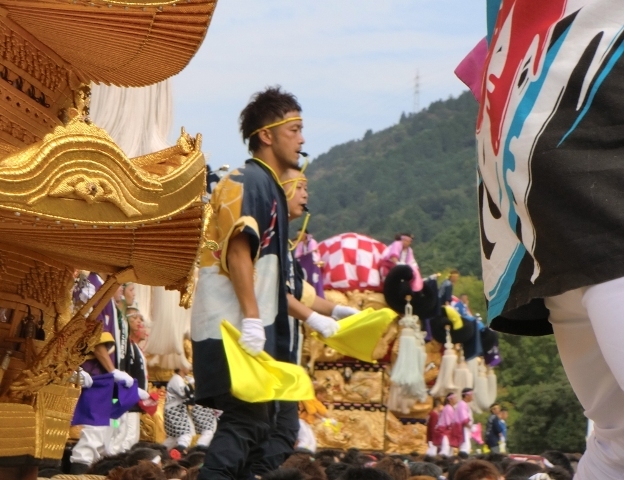 But it’s not only about parading, the different crews are competing in order to win the prize of best carrying style at the end of the Matsuri. 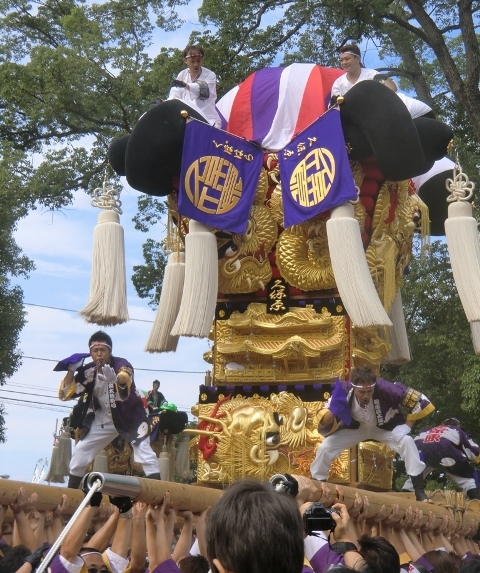 Every year, there are five winning Kakifu teams, one per town district. 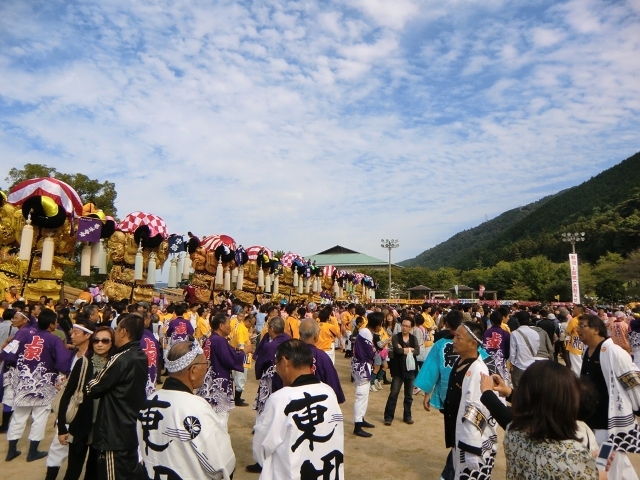 During the festival, Niihama, that has a population of about 150,000 people gets more than 350,000 visitors over the three days. 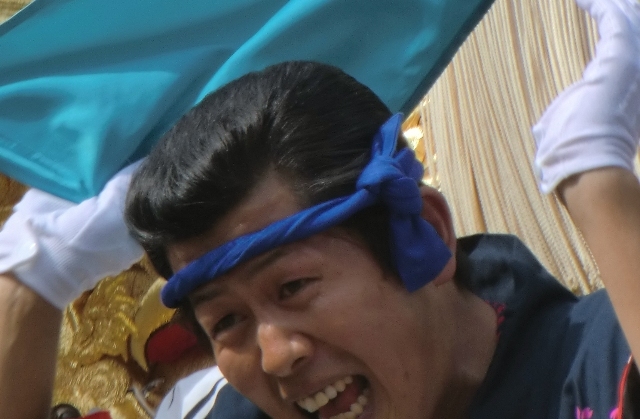 It’s the third largest Matsuri on Shikoku (Number one being Awa Odori, I’m not sure about number two). 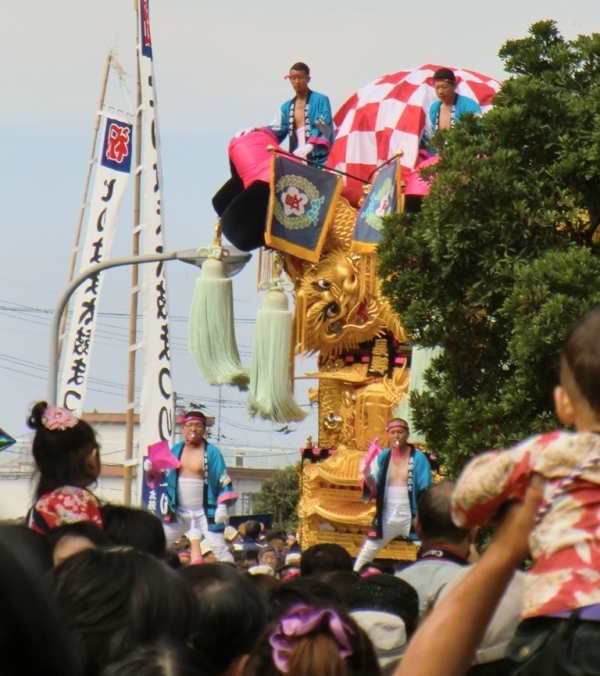 I won’t blabber much longer, I’m letting you enjoy a few of the many pictures I took that day (the other ones, at least the decent ones, will be published on the blog little by little on days when I won’t have time to write a full article). 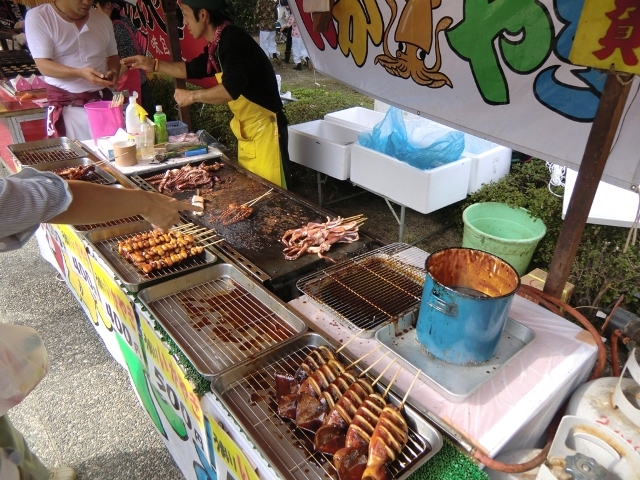 Of course, a Matsuri can’t be a complete success without some Ikayaki ! 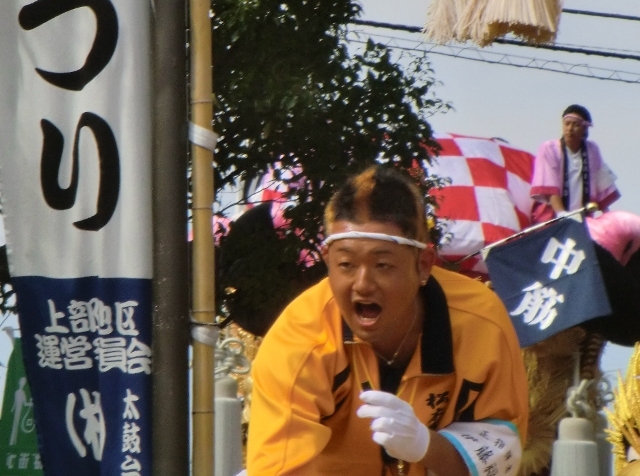 However, if you want to see more of the Niihama Taiko Matsuri, I collected a few links for you. 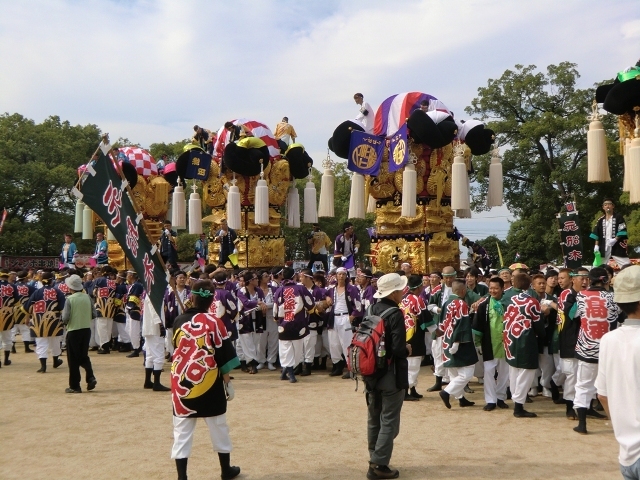 One from an American that was at the same place as me that day (I don’t remember seeing him, but as you may have noticed the place was quite crowded, enough so that the few Gaijin there don’t necessarily see one another) as you can see there, but unlike me, he also was in town at 3AM! 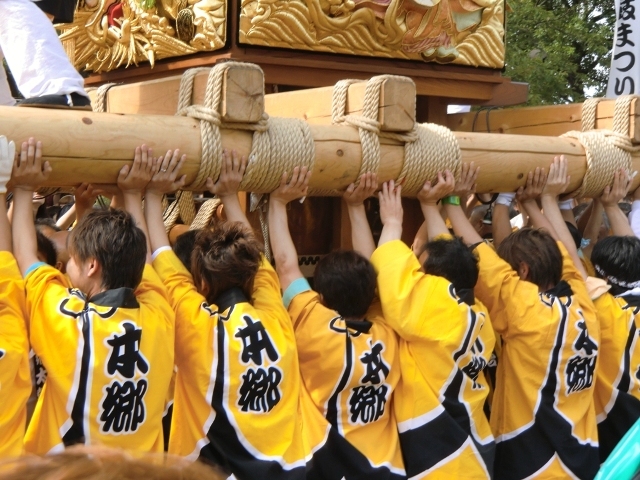 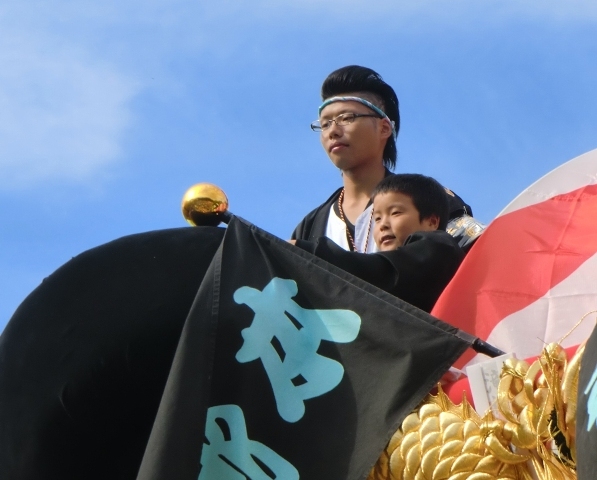 When the Taikodai are carried up to the temple that is up the hill!